This functional new house is an exercise of harmony between its inhabitant and their natural surroundings. From passing through the strikingly clean street façade, the layout and circulation spaces naturally guide you towards the light filled living spaces towards the rear of the block. 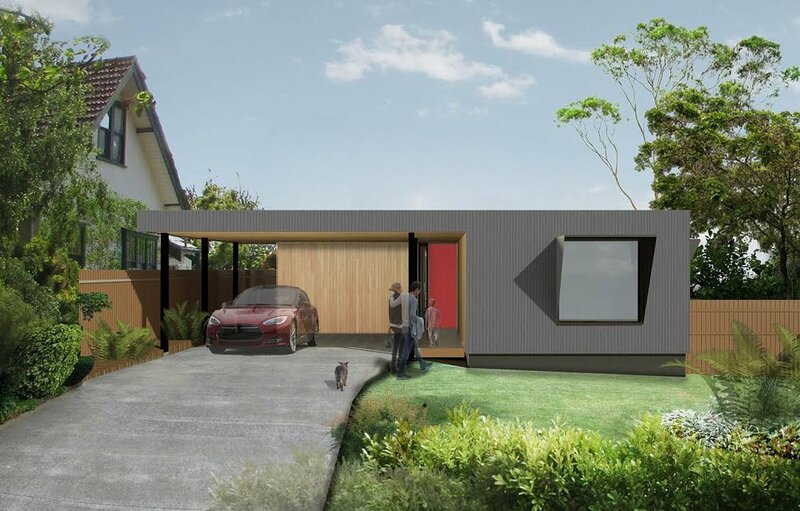 The long span of the house, influenced by the sun’s path throughout the day integrates efficient circulation around the house while still being able to close off spaces to suit the flexibility of everyday life. 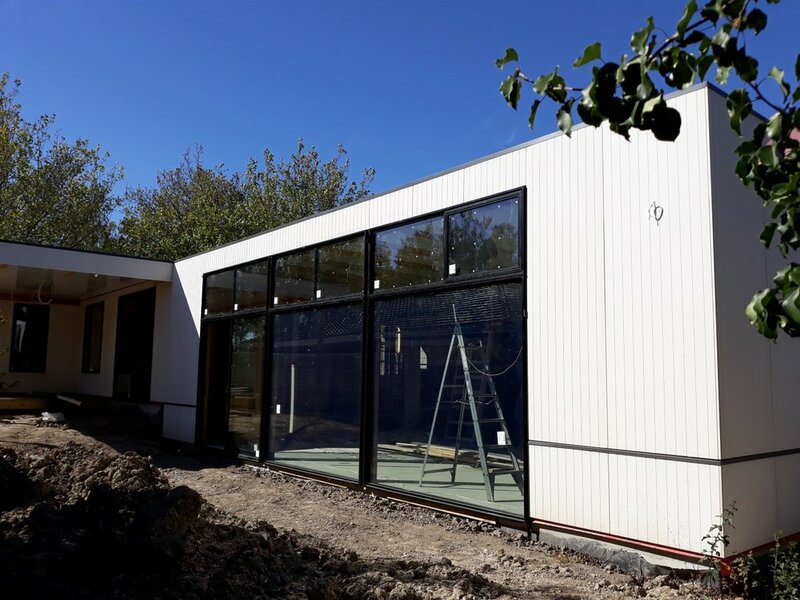 The majority of living spaces within the house benefit from an increased ceiling height, all under a single cost effective roof panel system topped off with passive solar systems to keep our clients comfortable in both cooler and warmer months. From the north facing entertainer’s deck, the rear steps down to both connect with living areas and the generous garden and courtyard areas designed around the house. Spacious bedrooms are spread over the house with a dedicated master suite situated in its own exclusive section. The design and layout of all rooms ensures picturesque garden views within the house with windows capped off with architectural awnings providing necessary solar protection for the interiors. The Suburban Minimalist is Habitech’s solution to the modest home brief. It’s a clean design that won’t age and one that nestles gently within its block on a tree-lined street – it always begins with a highly bespoke and meticulously planned layout to achieve the perfectly designed home.